The 500 series back to the wall toilet by the Italian designer Antonio Citterio is designed to be both space saving and also stylish for a larger bathroom. 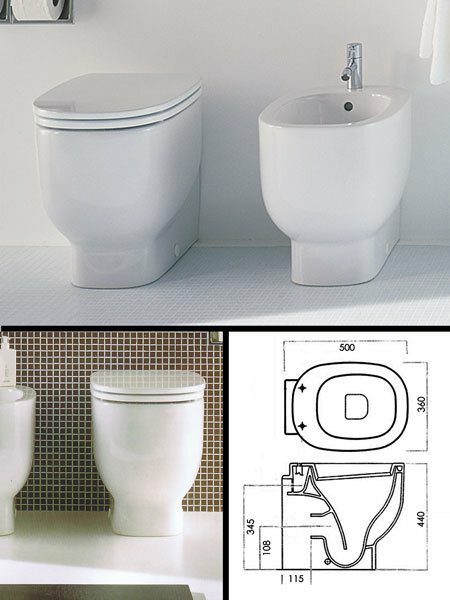 The price of this compact back to wall WC includes the toilet seat with the option to upgrade to a soft closing seat. * Includes the toilet seat. * Only 510mm wall projection.